On the 4-th and 5-th February 2018 we conducted the first workshop with students from “St. Paisii Hilendarski” Secondary School and from other schools, taking them to the mountains to teach them to ski. The children were from 12 to 15 years old. In the group there were children with hyperactive behavior, learning difficulties, disorder of expressive speech, asthma, a student with one kidney, pupils with visual impairments and with heart problems. Mrs. Ikimova presented the project to the participants, introducing the objectives and the tasks which were going to be carried out. 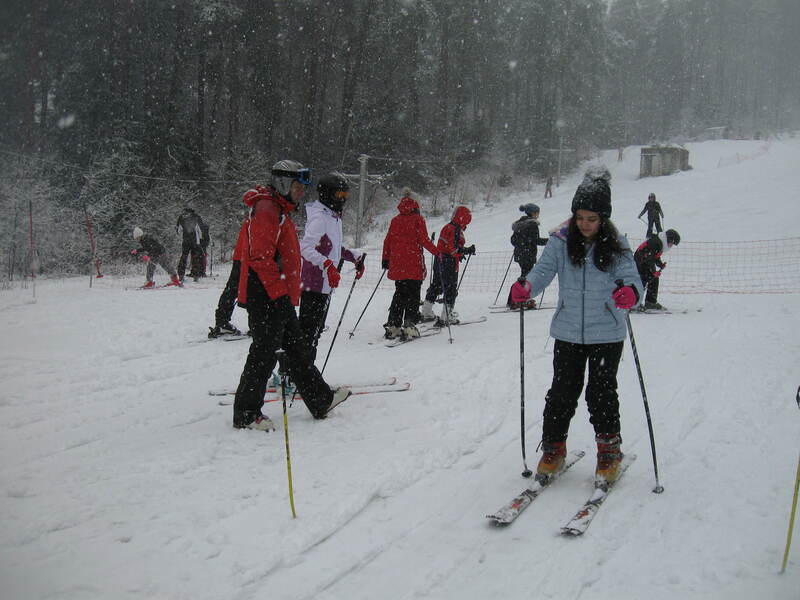 There were two ski instructors who trained the children. The first day the instructors showed the students how to walk with the skis, as all of them were walking along a certain route. The instructors had the necessary patience. They explained everything to each child carefully and helped them to do the certain tasks, taking into consideration the needs and abilities of the students. On the second day the training continued and to our surprise, absolutely all children managed to ski on their own, but some of them were afraid to get on the lift and climbed up the hill on foot. The pupils were surprised by themselves, and it was difficult for some of them to believe that they could learn to ski just for two days. Everyone felt very well and the children with diseases were included in the group, but the illness was left behind. The fresh mountain air, the explanations of the experienced teachers, the attention, the friendship and the friendly atmosphere contributed to the realization of this training, and all the students expressed their wish to repeat it again. This workshop lasted about four hours and it was organized by Mrs. Nina Grudeva, Mrs. Diana Vasileva and Mrs. Silva Ikimova as the first workshop within the project aiming to raise the students’ awareness about the benefits of practicing skiing and the inclusion of children with disabilities.